Sold at Harris Scarfe stores between 13/02/2018 to 11/04/2018. 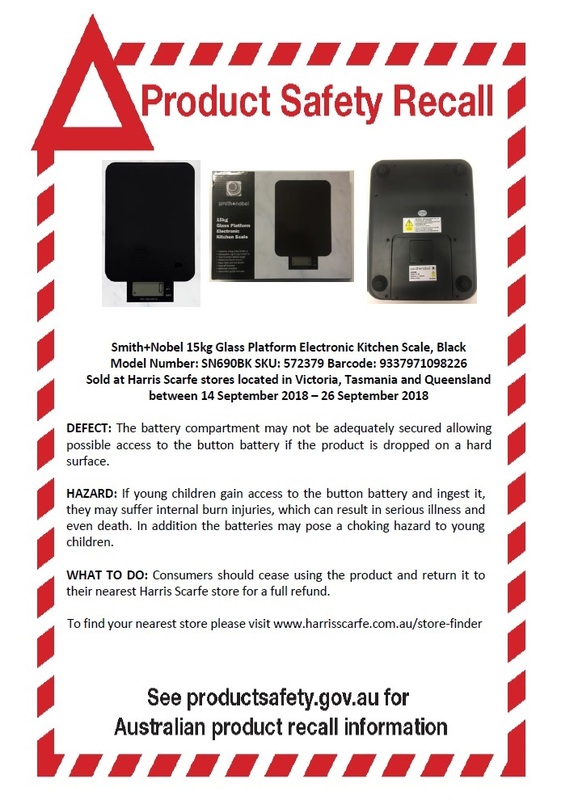 VOLUNTARY PRODUCT RECALL – Smith + Nobel 10kg electronic kitchen scale. Available at Harris Scarfe between 01/10/2016 to 19/12/2017.